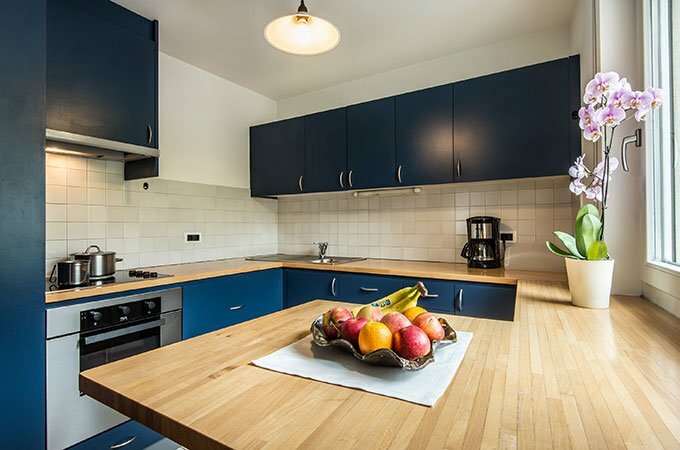 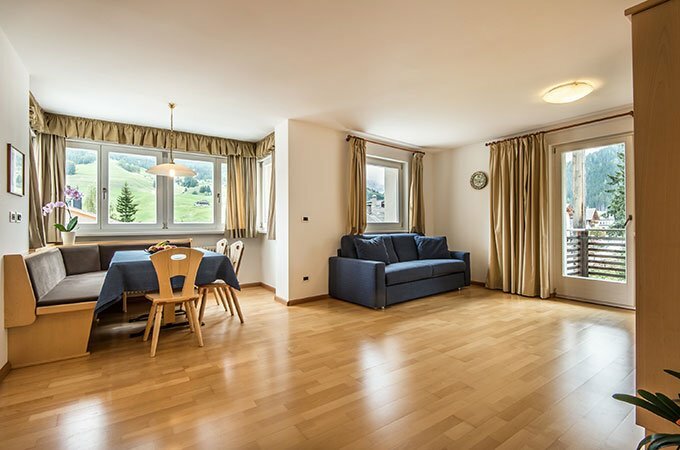 The new residence has been built alongside our B&B: it offers six pleasant and spacious apartments that can accommodate from 2 up to 6/7 persons. 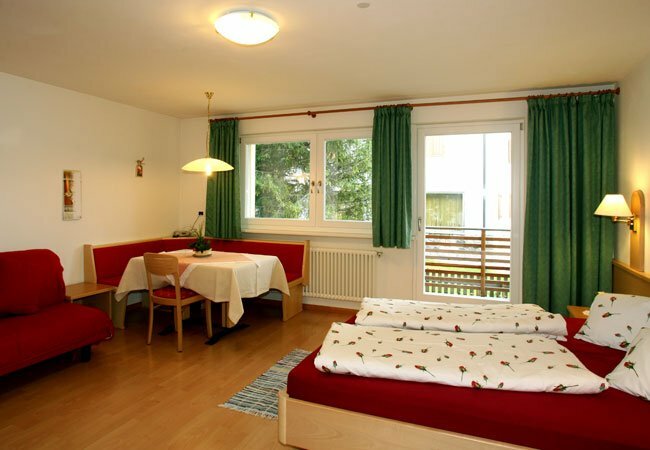 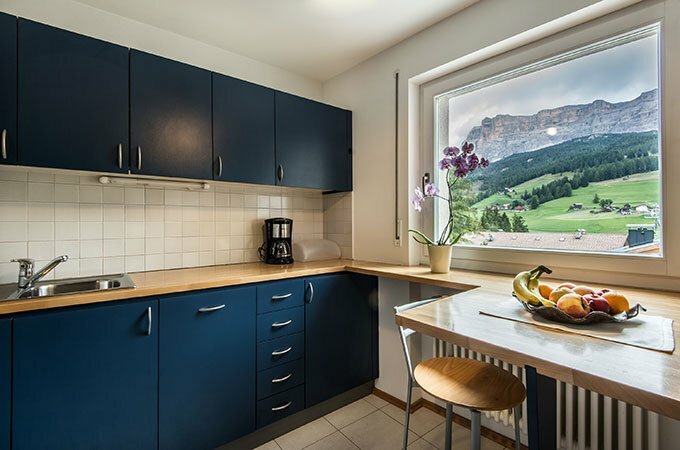 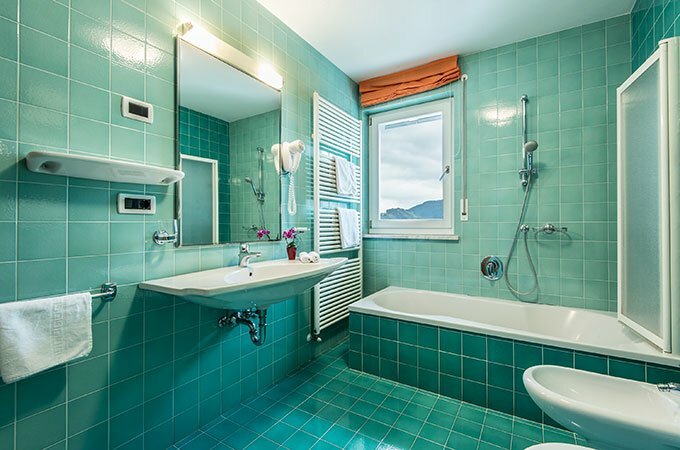 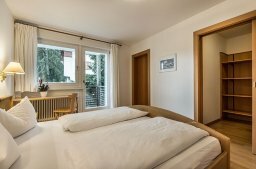 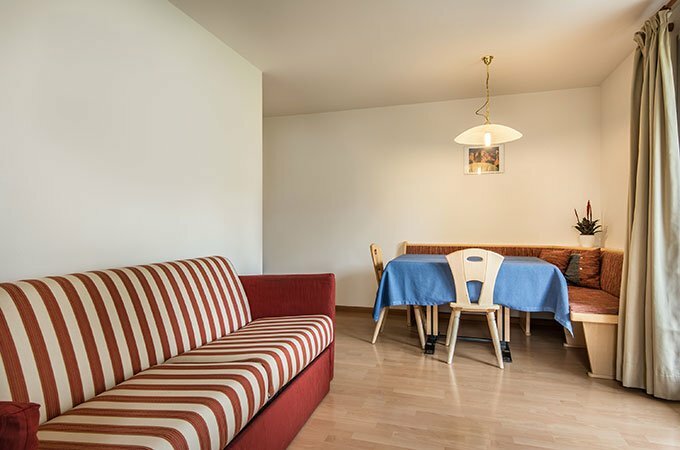 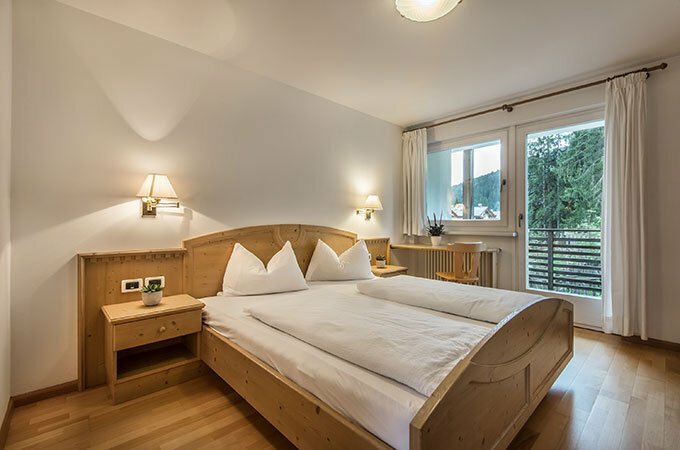 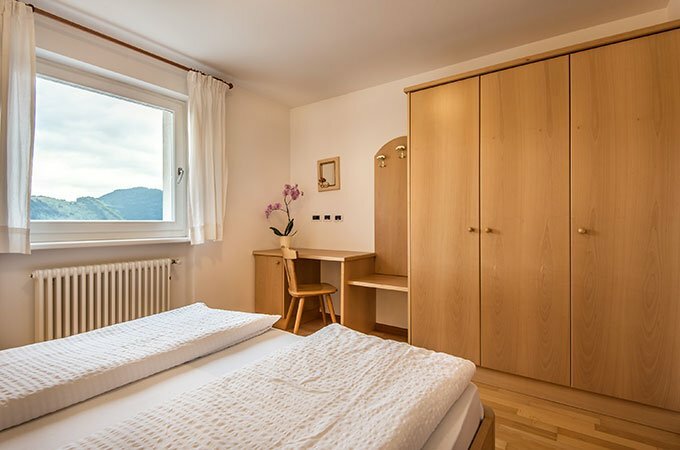 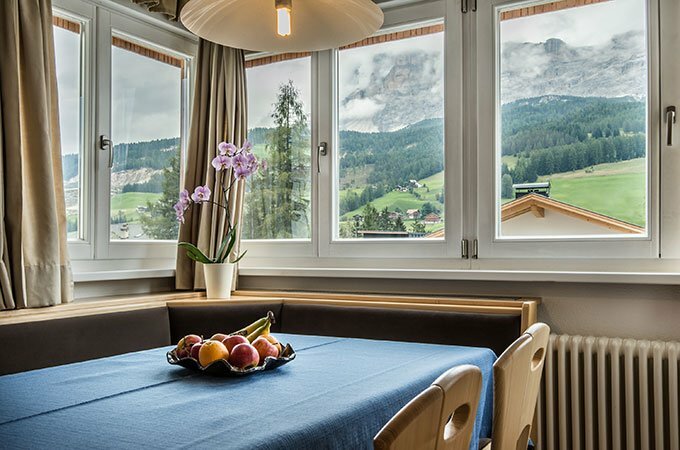 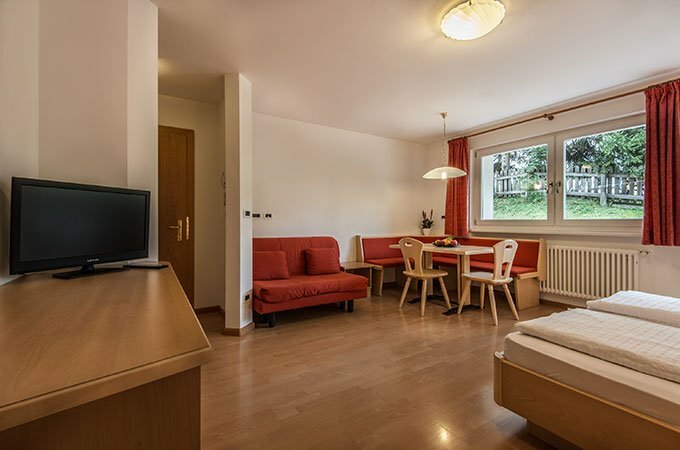 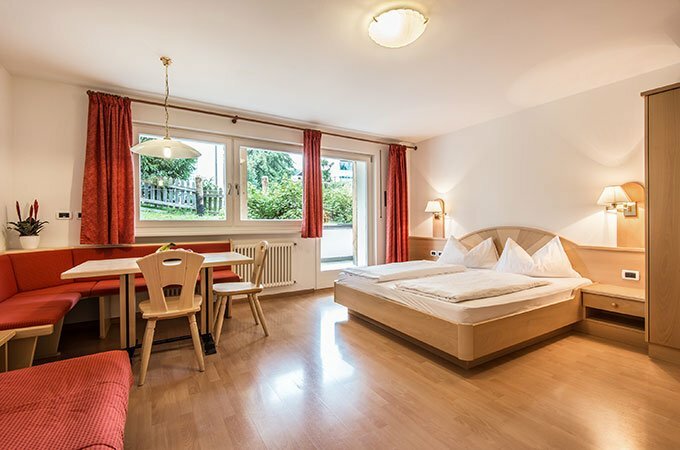 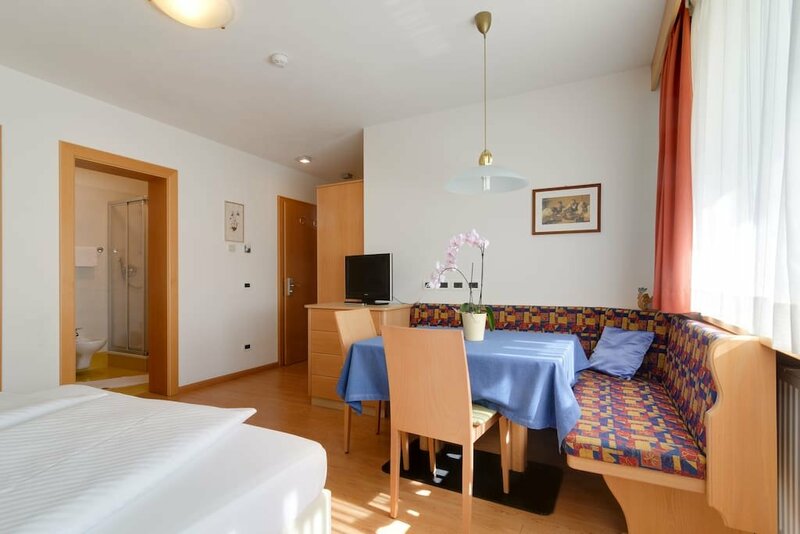 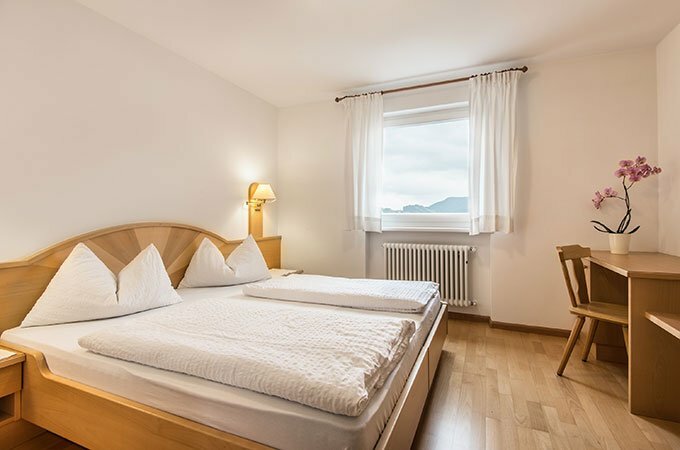 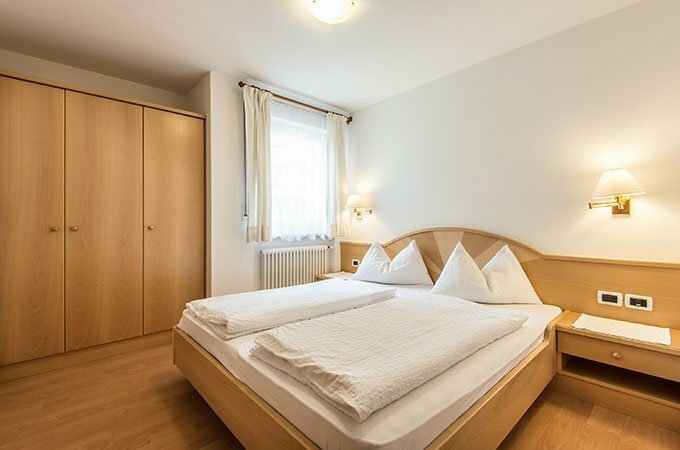 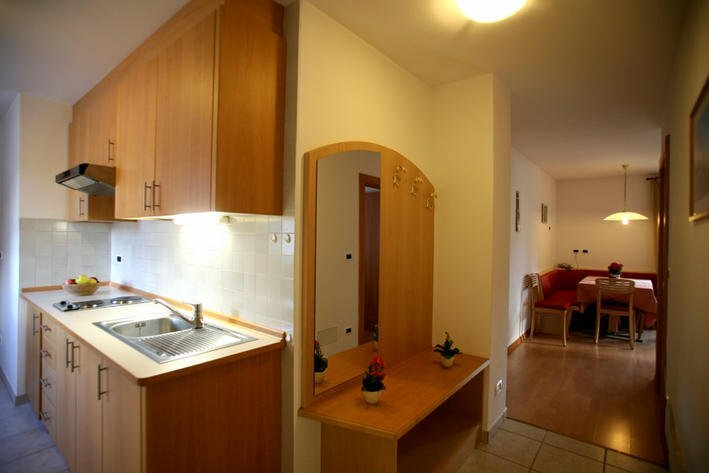 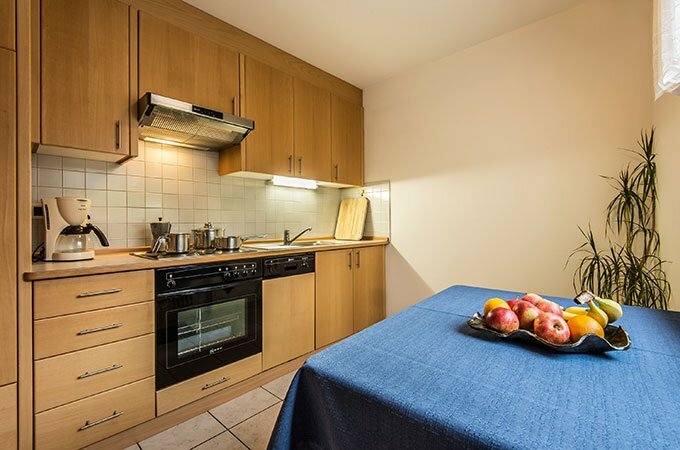 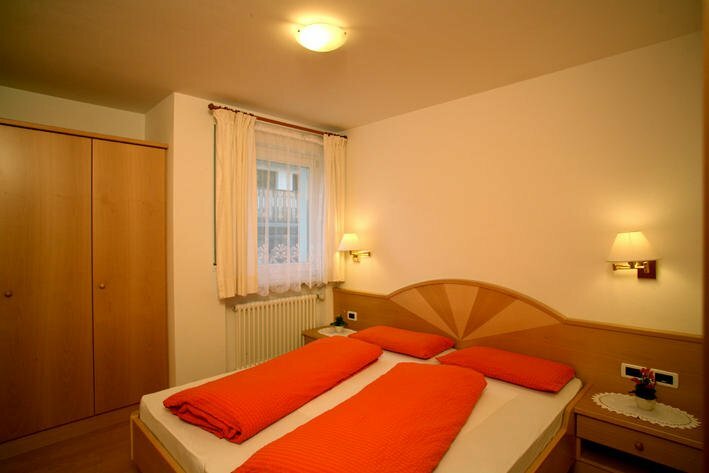 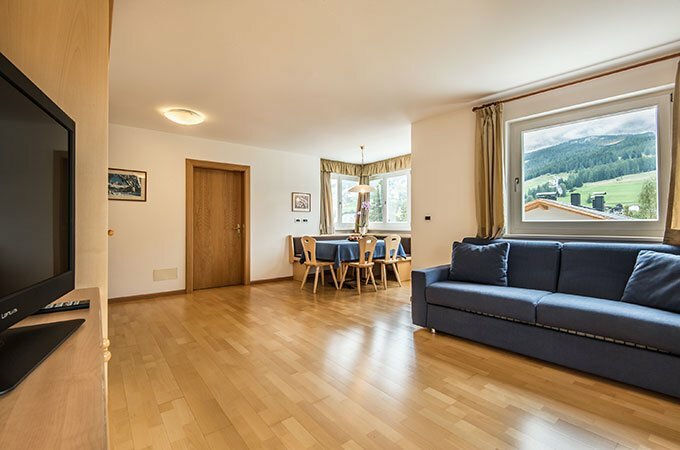 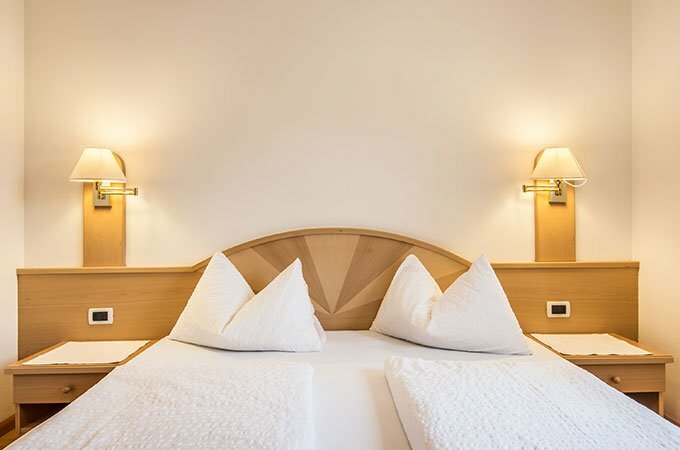 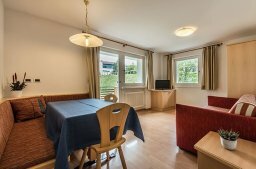 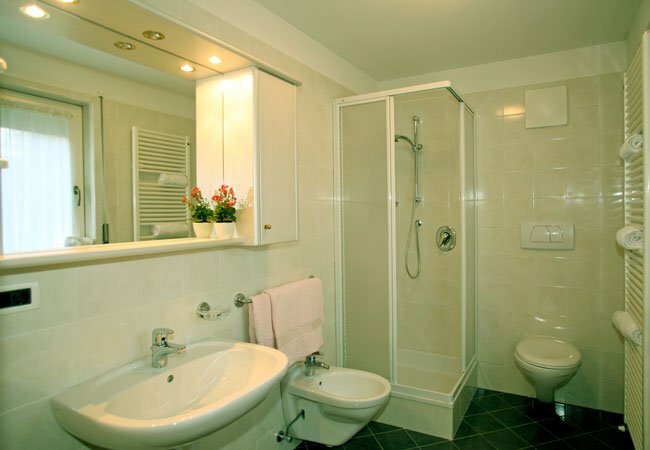 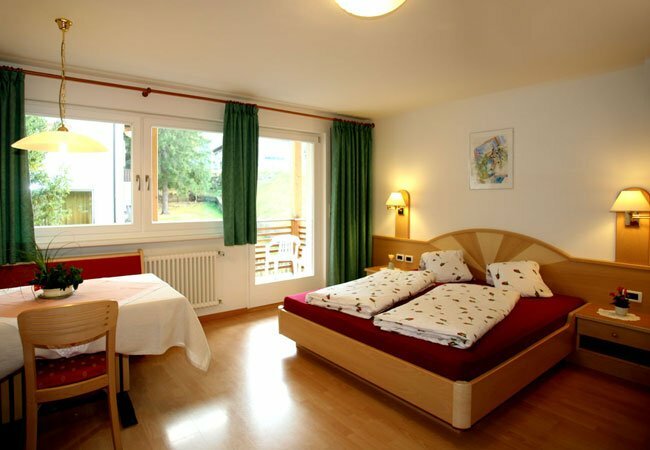 You will feel at home in the rooms furnished in typical Tyrolean style where you can completely relax! 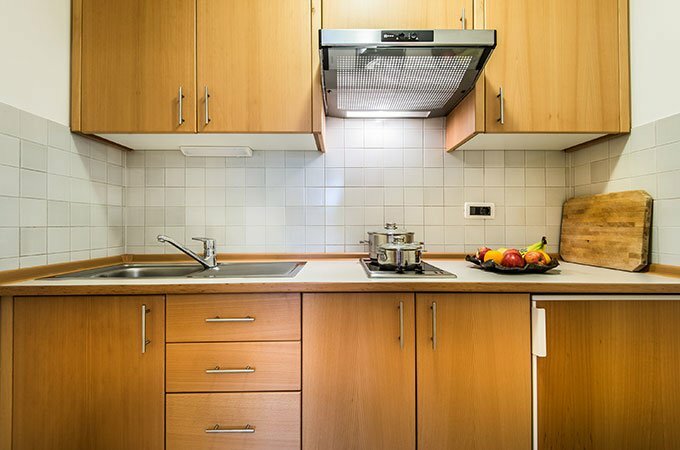 Bed and bath linen, hairdryer, pots/pans and cutlery, satellite TV, telephone, internet access and a safe box are all provided. A private car park, ski store and elevator are also available. 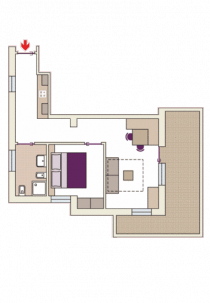 Bed-sitting-room with double bed, separate kitchen and bathroom. 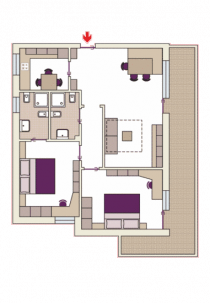 1st or 2nd floor, towards south and Piz La Villa. 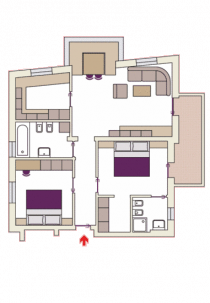 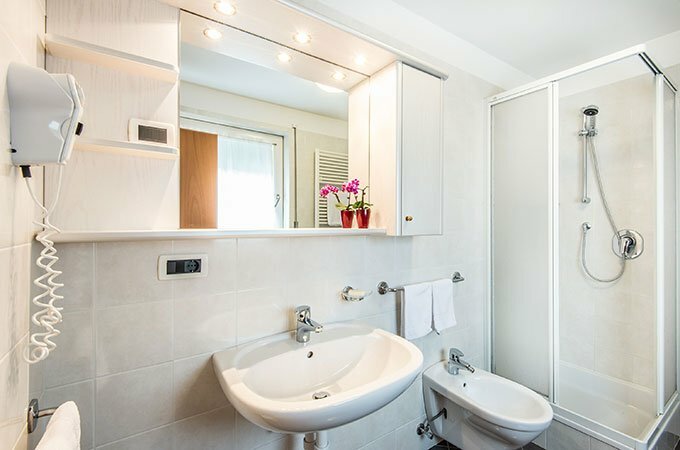 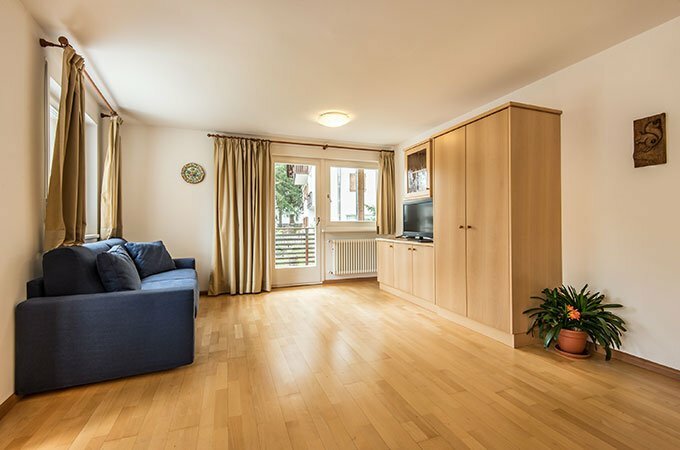 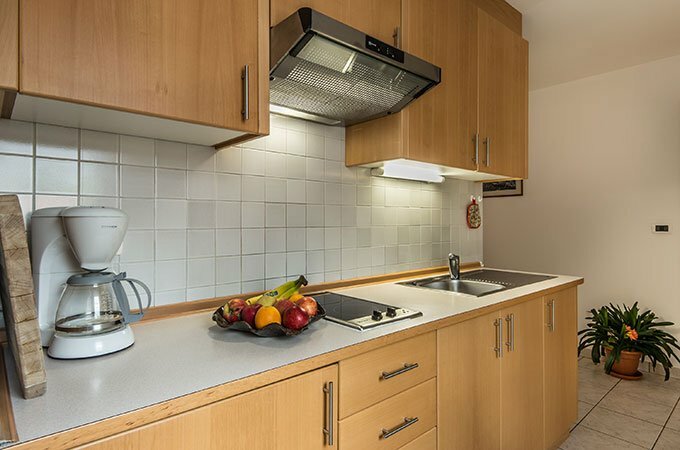 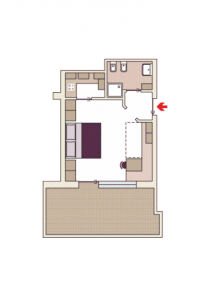 1 double bedroom and 1 bed-sitting-room with daybed for 2 persons, cooking corner, large bathroom and balcony. 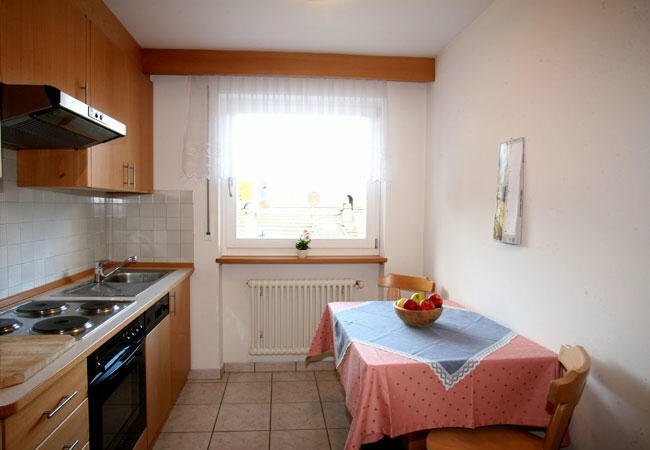 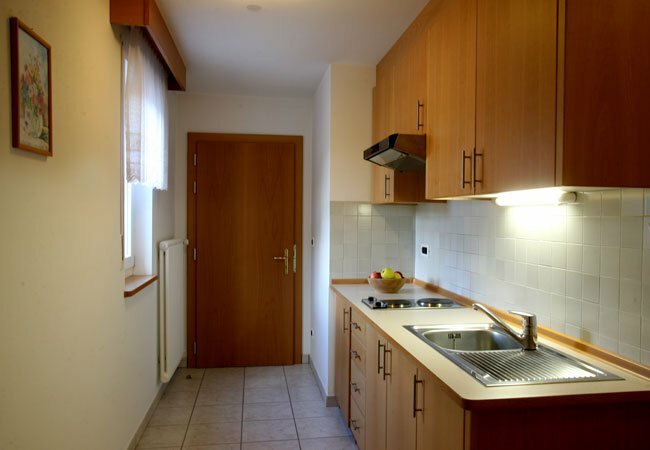 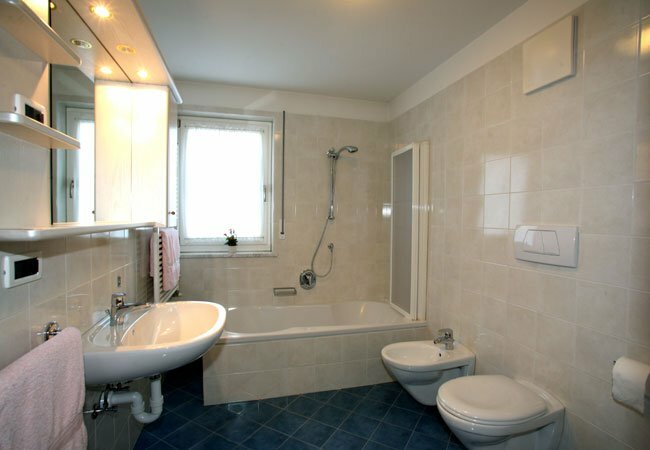 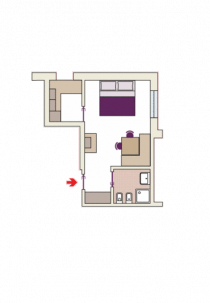 2 double bedrooms, 2 bathrooms, large sitting-room with daybed for 2 persons, kitchen with dish-washer, large balcony.